Due to some weather delays, the post office had a little trouble getting my March Hip Kit from Hip Kit Club to me, in time to create a layout with the new kit. But never fear, I still had plenty of goodies in my February 2015 Hip Kit, and used some left over bits and pieces to create a card duo! The cardstock sheets from the February Cardstock Add-On, are perfect for creating a base for your cards. 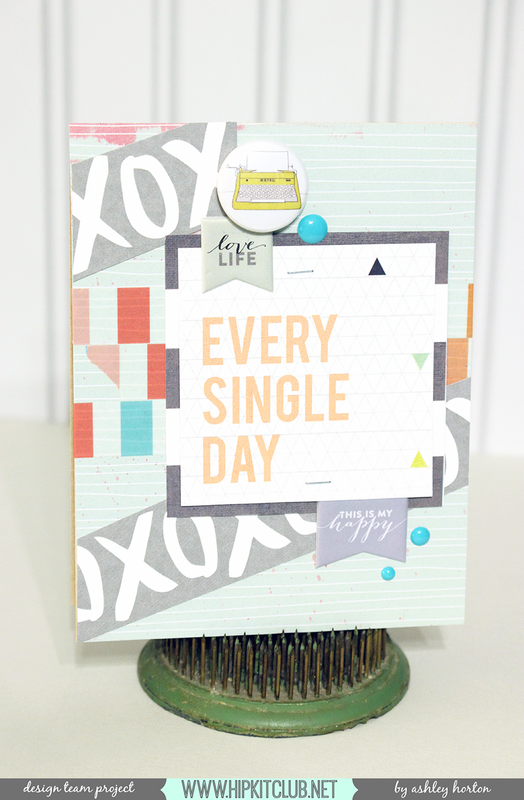 I used one of the kraft pieces for this card, and used a mix of My Mind’s Eye products and Evalicious products. The MME rub-on worked perfectly over the cardstock, to create part of the sentiment for my card. 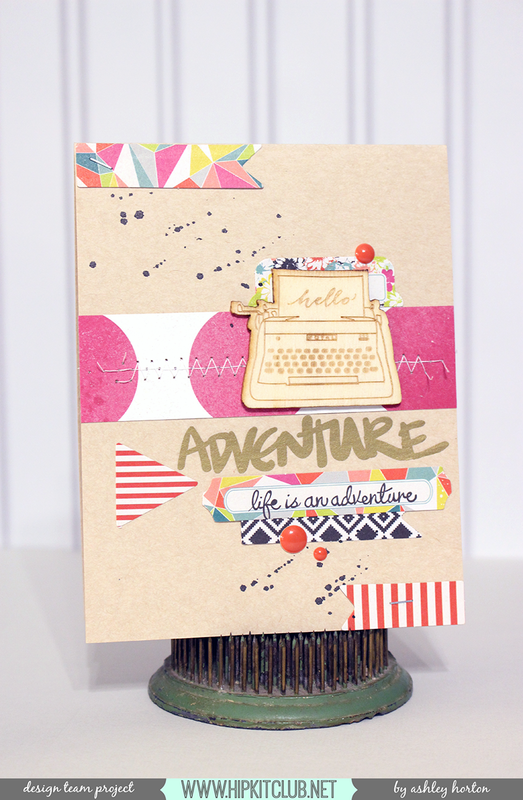 You can create unique background looks for your cards using the Heidi Swapp Washi Tape included in the February 2015 Embellishment Kit. I tore several strips from one of the rolls and layered it over one of the patterned papers from the We R Memory Keepers 6×6 Paper Pad, that came in the Embellishment Kit, too! So if you’re like me, and just can’t throw away those little paper scraps, try whipping up some quick cards, once you reach the end of your kit!